With a refractive index close to water, Sightfree fluorocarbon is virtually invisible to the fish when submerged below the water's surface and with an S.G. of 1.78 the tippet sinks quickly and rarely needs degreasing to help it through the water's surface tension. 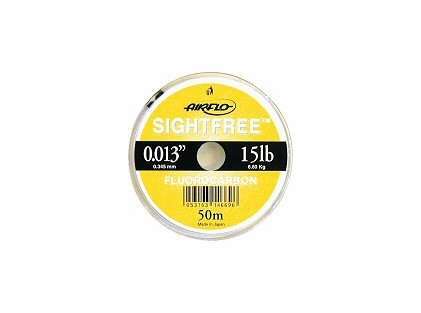 Sightfree fluorocarbon like all genuine fluorocarbons is stiffer than standard monofilament, this helps ensure good turnover and less tangles in windy conditions. what is tippet? a substitute for fly line?